The Liqid Development Kit is a purpose-built, turnkey solution to allow rapid prototyping, development, and qualification leveraging Liqid Composable, Liqid’s composable infrastructure platform. Users can begin test and development by writing software against Liqid’s RESTful API or using the intuitive user interface directly. 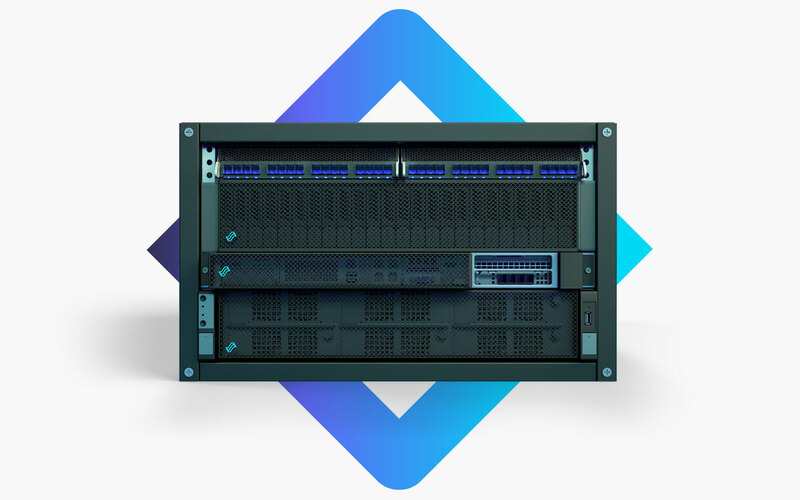 The Dev Kit includes all the necessary gear to get started, including the Liqid GRID intelligent switching fabric, Liqid Command Center, two compute nodes, as well as an expansion box that includes two network ports, four solidstate drives, and two graphics processors. All components are preconfigured to work out-of-the-box by connecting two cables – power and ethernet. The Liqid Development Kit ships in a six rack unit chassis on casters, has the option to be rack mountable, and includes all necessary cabling, documentation, reference code, and OS images to get started in minutes. *Model Number will change based on kit customization.